As a car enthusiast, you know exactly what you want in a luxury vehicle, and your homework has led you here: the 2017 Mercedes-Benz C 43 AMG. As an exquisite example of power, performance, and styling, this model was meant to break the hearts of everyone it races by. With an AMG engine roaring under the hood, you’ll be racing through Burlington and beyond like never before. 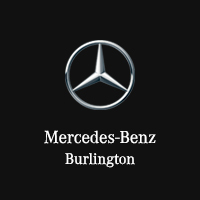 Luckily for you, Mercedes-Benz Burlington has the latest lineup available, so you won’t have to stand on the side lines any longer. Get to know the 2017 C 43 AMG up close and personal by scheduling a test drive; you’ll be glad you did. Got a facial during an oil change? Thanks to our Q Spa, both you and your vehicle can leave our dealership feeling fresh and new. Our clinicians are trained in the latest in beauty and health services, just as our auto technicians are certified to handle your vehicle with the utmost care. Enjoyed a freshly prepared meal in a waiting room? No one wants to eat a meal from a vending machine, which is why our Q Cafe is ready to whip you up something fresh. Sandwiches, salads, and pizza are here to deliver a tasty option while you wait for service. Practiced your swing while your car gets in the swing of things? Thanks to our state-of-the-art golf simulator, you can play a few rounds without even leaving the dealership. Provided by ForeGolf, you can practice your put or hit a bucket of balls, making time fly by. Let us show you the Quantum Difference in person; visit us today at 441 North Service Rd. in Burlington, ON. We can’t wait to work with you!